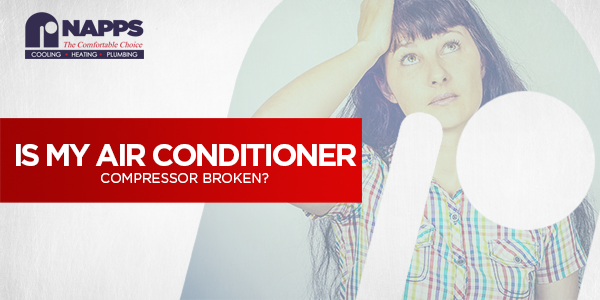 Is My Air Conditioner Compressor Broken? Posted on June 18, 2018 at 8:28 pm. When your air conditioning unit malfunctions, you start to panic and feel like you are losing your hard-earned investment. Air conditioners work through a series of mechanical parts including the compressor. When it fails, it can be the start of a disaster. How can you tell if the compressor has malfunctioned? Be mindful of these warning signs of a broken compressor to prevent possible comfort issues. Do you hear a ticking, clicking, rumbling or chattering sound? A noisy air conditioner signals trouble and damage, particularly in the compressor. When your A/C unit starts to produce strange sounds, it could mean that the motor is loosed or broken. Odd noises are also signs that some components of your air conditioner are wearing out, causing your unit to start harder. Let your HVAC professional fix the issue and discuss with you the solutions. Compressor failure leads to moisture buildup. If you notice moisture around the system, it simply means that the refrigerant has leaked out. When left unnoticed, it results in major problems such as respiratory-related issues. Contact your HVAC specialist to address the problem immediately. Another sign of compressor malfunction is when your system blows in warm air. A broken compressor finds it hard to pump the refrigerant through your air conditioning unit which reduces its cooling power. In some cases, compressor fails because of a refrigerant leak. If you ignore this problem, your system might stop delivering cool air in your home. Does your outdoor unit shake or vibrate when it turns on? Vibration in your outdoor unit is an indication of “hard starting” or the difficulty of turning on. When your system is nearly failing, vibration happens. You can deal with the problem by turning it on and off. Or better yet, bring in your trusted HVAC professionals to check the unit and provide effective solutions. Your compressor is in trouble when your circuit breaker trips and loses power every once in a while. This happens when the compressor draws too much power and overheats. Experts advise not to reset the circuit breaker repeatedly to prevent the risk of fire. The smartest thing to do is to call your contractor regarding the problem in your circuit breaker. As soon as you notice these symptoms in your unit, you should call for professional help immediately. 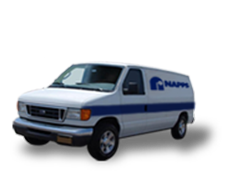 Contact Napps Cooling, Heating & Plumbing to rescue you in times of trouble.